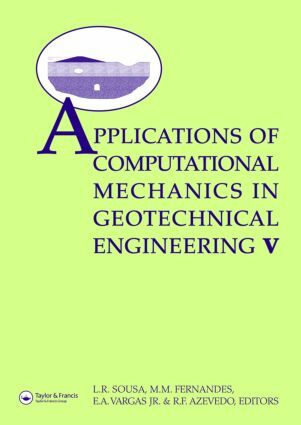 Geotechnical works involve complex geo-engineering issues, which are reviewed in this volume presenting the very latest research and practice in computational mechanics in geotechnical engineering. Application of Computational Mechanics in Geotechnical Engineering V contains contributions on soil and rock excavations, underground structures and ground reinforcement; and on the construction of dams, embankments and rail track. Other papers consider the geomechanics of oil exploration and rock mechanics in mining; while environmental contributions include groundwater management. A wide range of methodologies are discussed: inversed methodologies, artificial intelligence and computational systems, which highlight future trends in the area of computational mechanics applied to geotechnical problems. The book will be of interest to researchers, academics, students, software developers, and practical engineers across the field of geotechnics.